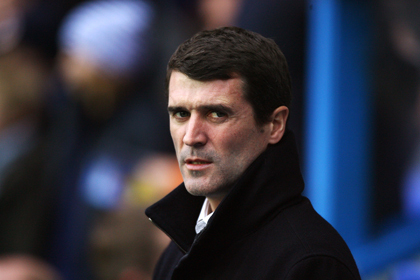 Are referees getting their revenge on Roy Keane? Roy Keane can’t have made too many friends from officials during his playing career and, with some of the appalling decisions made against his Sunderland team since he returned to the Premier League as a manager, maybe his early behaviour has come back to haunt him. Sunderland have been denied blatant penalties (against Blackburn) and seen last gasp winners ruled out (against Aston Villa) while opposing goals that didn’t even cross the line have been counted (against Reading) in recent games, prompting Keano to admit that he has become ‘paranoid’ over his treatment by the men in black. Keane will know a thing or two about harbouring a grudge before seeking retribution at a later date – just ask Alfe Inge Haaland. But, could it be that referees are getting their own back this season for years of vein throbbing abuse?